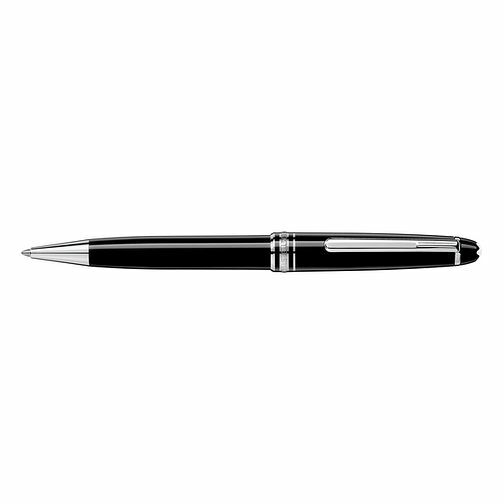 From the exquisite Montblanc stationery collection, this Meisterstuck Classique ballpoint pen features a sleek black resin case with platinum-plated fittings, and topped with the brand's white star emblem. Stylish and comfortable to use, this elegant pen beautifully celebrates the art of writing. Sophisticated writing instruments born of traditional craftsmanship handed down from generation to generation.